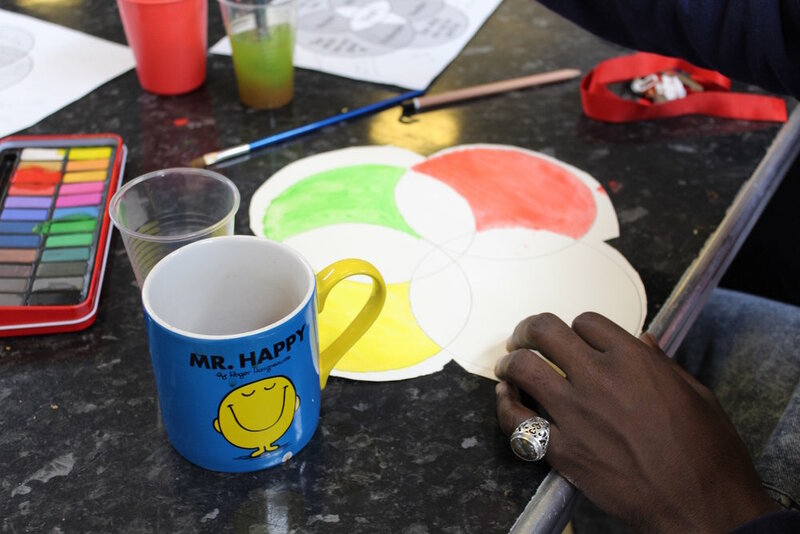 Over the past six weeks, we have worked with some overwhelmingly creative, talented and perceptive care leavers in Westminster and Kensington & Chelsea. Together, we have explored our key elements: from finding our top strengths, to assessing what we want to be known for, to expressing what’s important to us, and to working out our motivations and perceptions of success. This Monday, the Victoria and Albert Museum will be showcasing the artwork these two groups produced in response to their explorations. The Element young creatives have designed beautiful lampshades, decorated old-school vinyls, painted pop art canvases, written personal and political poetry, and tons more. We’ve all been busy prepping next week’s showcase - here’s a sneak peak of some of the artwork. If you are interested in attending the event, find all details here. To get regular news on upcoming events, sign up to our mailing list.